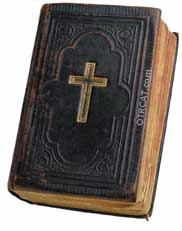 "He That Loseth His Life"
The Greatest Story Ever Told is a religious dramatization about the life and times of Christ. 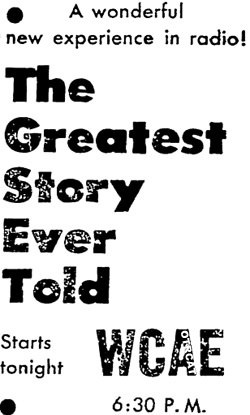 It is "the greatest story ever told from the greatest life ever lived, and includes a 16-voice chorus and full orchestra. The stories chosen were ssimplistic and popular. It was the first show to star Jesus Christ, and have him as a continuing character. So the directors decided to have Warren Parker play the part of Jesus in anonymity, with no casting credits. They also decided that there were to be no photographs of the performers, no studio audience, and no commercials. Guided by an interdenominational advisory board, this timeless show was very popular in its day and well remembered by many. Received my order(my first from OTRCAT).Very satisfied.So hard to find "Greatest Story Ever Told"recordings.Love the fact I could get them in cd format instead of mp3.Thanks again for this special treat.